I’m sure most parents have seen those Gardasil commercials on television that use children to shame their parents into having them vaccinated for HPV. As a parent naturally you want the best for your child and when told there is a safe effective vaccine that can prevent cancer, that there are virtually no risks involved, of course you’re going to have your child vaccinated. At least that is what Gardasil is hoping you will do. The vaccine is experimental and your child is being enrolled, without knowledge or consent, into a post marketing long-term safety trial. It also does not cover all HPV viruses! It was fast-tracked by the FDA and approved without any long term safety studies, studies concerning its interaction with other vaccines, or studies that demonstrate that Gardasil protects against HPV related cancer or reduces cancer rates. While the vaccine has been shown to reduce abnormal cervical lesions in their vaccine targeted types, it will be years or decades to determine if the rarer, non- vaccine targeted types lead to an increase in cancer rates. There have been insufficient studies on the safety of this vaccine for boys who appear to be at even higher risk of serious reactions than girls. Gardasil contains an aluminum adjuvant which is a known neurotoxin. The concentration of aluminum is 18,000 times higher than what the FDA considers safe in injectable products. Another ingredient is L-histidine, an amino acid that interferes with the brain’s defenses against medal toxins. Not only are there serious concerns about Gardasil’s safety, there is little evidence of its need. There is less than a 1% lifetime risk of ever developing cervical cancer and less than one quarter of 1% lifetime risk of dying of cervical cancer. According to the National Cancer Society, mortality rates have declined 75% since the Pap test was widely implemented 50 years ago. There are dozens of HPVs that can cause cervical cancer. In 90% of women HPVs clear up on their own within two years. Of the remaining 10%, only half will develop into cervical cancer. It is only when the HPV virus lingers for many years that abnormal cells could turn into cancer. Despite the questionable need for Gardasil, states with links to pharmaceutical companies began pushing the vaccine. In addition to lobbying Congress and local governments, Merck also trained and paid doctors and nurses as “unofficial” spokesmen to push this vaccine on unsuspecting parents. By 2008 41 states had passed or were considering legislation concerning the HVP vaccine but only one state, under the rule of Democrat Tim Kaine, actually passed a bill requiring the vaccination for school entry. Kaine was bought by Merck for a promised investment of $57 million in their Elkton, Virginia, plant. Four months after he signed the bill into law Merck pledged another $193 million. To be fair to the Virginia State Legislature, the bill did give parents the right to decline this particular vaccine. 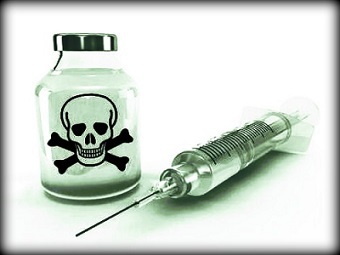 Read “Drug Makers’ Push Leads to Cancer Vaccines’ Rise,” NY Times. By 2015 Washington D.C. and Rhode Island had also passed legislation requiring mandatory vaccination for all children entering the 7th grade. Trust in the medical community to be truthful about the risks involved in vaccinations is at an all-time low. Even the CDC has come under fire. A 2012 National Academy of Science/Institutes of Medicine report rejected 17 of 22 studies still cited by the CDC as “flawed.” One such study was identified as a product of scientific fraud by CDC Whistleblower Dr. William Thompson, who also pointed to numerous other studies where data was “cooked.” You can read “Vaccine Whistleblower, Skyhorse Publishing” for the full transcripts. They are jaw dropping. Merck, the manufacturer of Gardasil, is currently in court over charges that they fudged the data on how well the mumps portion of their Measles, Mumps and Rubella (MMR) vaccine works. The two whistleblowers allege that they were told to spike human samples with rabbit antibodies to make the vaccine appear to be 90% efficacious against the vaccine-targeted mumps type, while in reality they allege it to be only 18% effective. There is a lot of debate about the safety of Gardasil and a few deaths directly associated with the vaccination so, while no one can tell you not to have your child vaccinated, I would hope that you use the resources provided on the web to research the vaccine for yourself before making any decision.